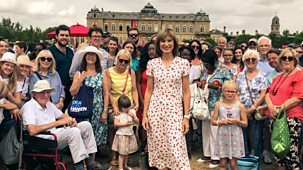 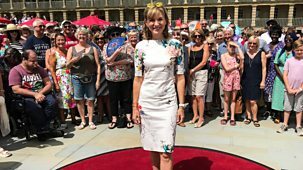 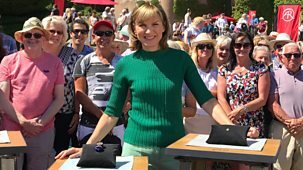 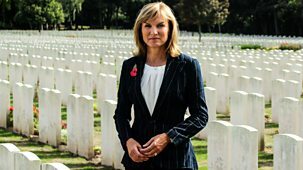 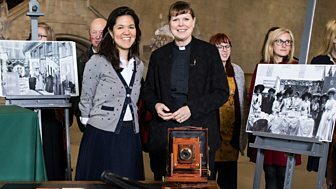 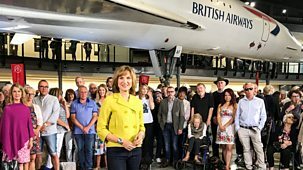 Fiona Bruce and the team head to the historic Buckfast Abbey in Devon, currently commemorating 1,000 years of worship on the site. 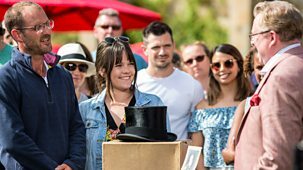 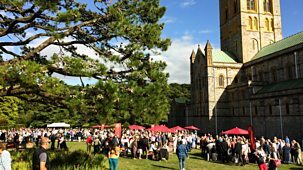 On a perfect summer's day, the grounds of the abbey are packed with visitors bearing their treasures. 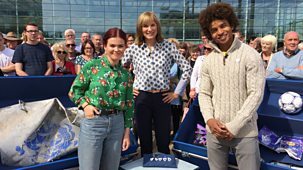 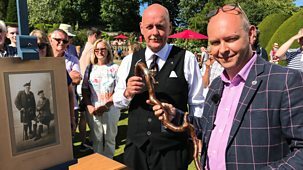 Silver specialist Alastair Dickenson is impressed by a tankard dating back to 1703, while Adam Schoon shows how a hidden lock in a 1640s iron chest would have deterred thieves.\n\nCollectibles come in all shapes and sizes as Lisa Lloyd finds out when valuing some London street signs alongside a Biba frock. 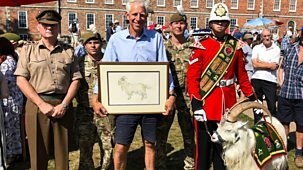 And militaria specialist Mark Smith is wowed by a piece of shrapnel from the battleship Bismarck.